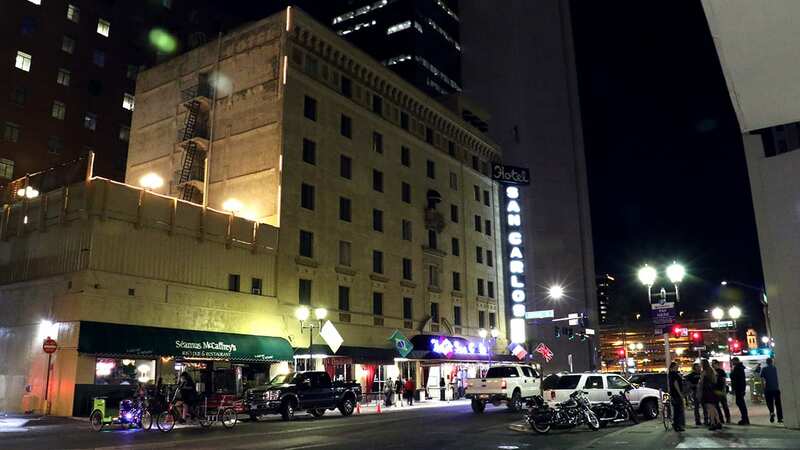 There’s an ever-growing number of nightlife options in Downtown Phoenix, but one area in particular stands out as downtown’s newest hub for bars and nighttime entertainment. Spanning First Street to First Avenue and Monroe to Adams streets, this seven-block stretch has become a downtown destination thanks to Seamus McCaffrey’s, Valley Bar, Hanny’s, Melinda’s Alley, and soon Cornish Pasty. Coincidentally, these bars have created what we’ve dubbed a “bar cluster” — or a dense area full of bars and nightlife venues. And with three light rail stops nearby, four hotels in direct proximity and a growing residential population — this area is especially situated for success. 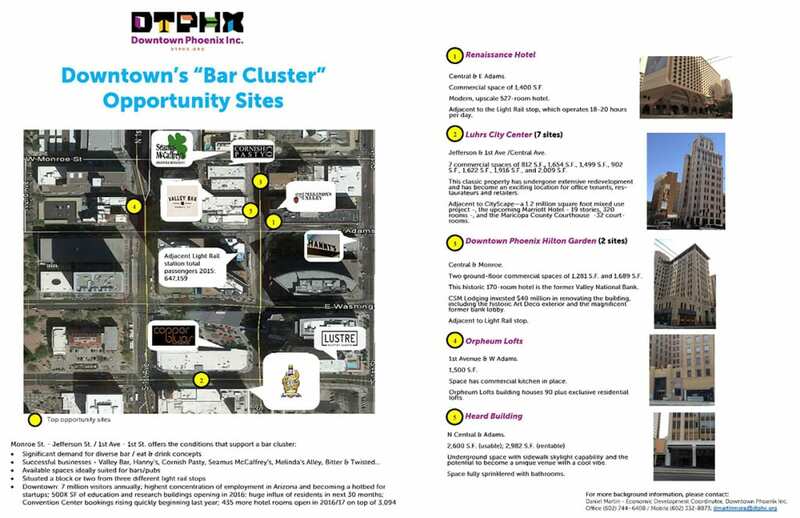 While this cluster formed naturally, Downtown Phoenix Inc.’s economic development coordinator Daniel Martin-Mora hopes to continue the momentum by connecting potential business owners with neighboring property owners. After months of surveying and research, Martin noted an unmet demand for bars and pubs in downtown, and began to identify available commercial spaces just begging for a new concept to move in. With six available sites in proximity — they range in size, from 1,200 to 3,000 square feet, as well as character, from underground spaces with skylight capability to historic features like red brick and Art Deco. All have one thing in common: They’re positioned in the heart of Downtown Phoenix, which sees more than seven million visitors annually and has the highest concentration of employees in Arizona. Plus, with about 2,000 housing units currently under construction, you can be sure those new residents are going to be hungry and thirsty for more. 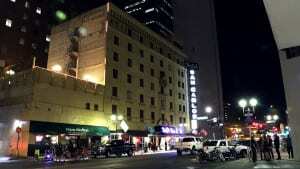 However, Martin isn’t just focused on securing new bars and pubs. Instead, he looks at the process more holistically, as this bar cluster can help generate more momentum to attract other types of businesses, like clothing shops and the like.